Jerusalem is a holy city for the three great monotheistic religions of the world - Christianity, Judaism and Islam. It holds importance as a place of pilgrimage and symbolism and has been the site of conflict for centuries. Among its 220 historic monuments are some of the holiest Jewish, Christian and Muslim sites in the world. The Temple Mount was the site of the First Temple, built by King Solomon, and the Second Temple, destroyed by the Romans in AD 70. Today, only the Western Wall remains, which was part of the supporting structure for the temple and is now perhaps the most revered of all Jewish sites. The atmosphere at the plaza around the Wall is amazing at sunset on Shabbat or for bar mitzvahs as is filled with people celebrating with music, singing and dancing. The most sacred Christian site is the Church of the Holy Sepulchre, marking the site of the crucifixion, tomb and resurrection of Jesus, still tensely shared between the different Christian churches. Via Dolorosa is believed to be the route taken by Jesus on the way to his crucifixion (though most historians believe it to be inaccurate). When the Arabs captured Jerusalem in the 7th century, they built the Dome of the Rock and the Al-Asqa Mosque on the Temple Mount (Al-Haram ash-Sharif). The Dome is the third most sacred site in Islam, believed to be the site of Mohammed's ascension to heaven. 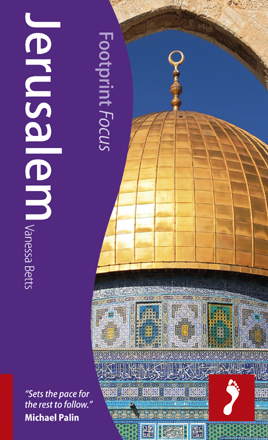 Other sites of note in Jerusalem include the Mount of Olives, offering superb panoramic views over the city and hosting numerous churches and the historic Citadel (or Tower of David). The old city itself it wonderful for wandering its narrow streets and alleyways and noting the contrast between the different quarters - The Christian quarter filled with tour groups and souvenir shops, the Muslim quarter with its hectic hustle and bustle of everyday life and the more modern and quiet residential areas of the Jewish quarter. Outside of the old city lie two excellent museums - the Israel Museum charting the history of the country and including the Dead Sea Scrolls and Yad Vashem, Israel's memorial to the Holocaust. 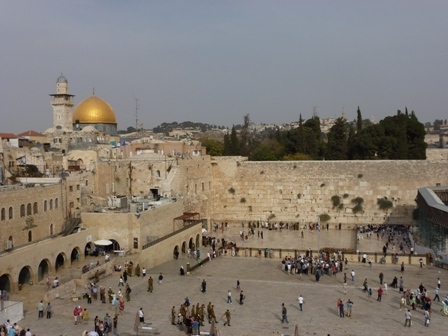 Organised group tours: Click here to see 6 tours to Israel which may include Jerusalem.